High-Tech Skin Firming Treatments: Would You Try? The fountain of youth or anything close to it still has not been discovered. Nonetheless, doctors are working hard to find an ultimate solution to skin aging, and they believe that one will be discovered soon. However, there are already several procedures and treatments available that can have a considerable impact in making the skin more youthful. 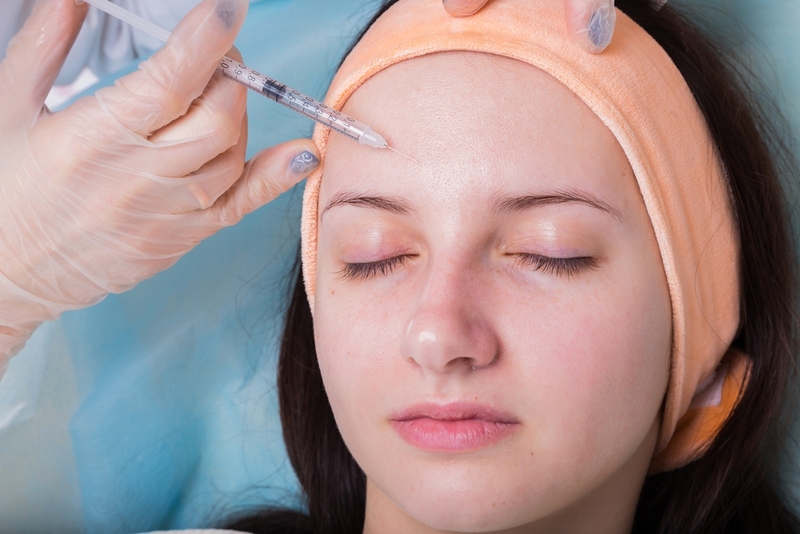 In the past, the use of botulism toxin (Botox) is the only option since it is the fastest and most efficient. In this article, we will be taking a look at the latest offerings when it comes to anti-aging treatments. Belotero is a breakthrough filler that is mostly useful for fine lines, wrinkles, and crow’s feet. It is a lot better than Botox since it doesn’t lump thus spreads evenly in between collagen fibers. It contours to the unique facial outlines of the person for an ultimate smoothing effect. According to Karen Kim, MD, who is a renowned dermatologist in Chestnut Hill, Massachusetts, her patients are very satisfied since they look younger, but their appearance doesn’t change drastically. Belotero dissolves gradually, so the effect lasts at least six months. One treatment session is about $500, so it is still very expensive. This is a revolutionary treatment for sagging neck area which is the common problem area for women when it comes to visible signs of skin aging. It uses radio-frequency technology that works to boost the production of new collagen. Thus, the skin will become a lot firmer and smoother in a short time period. It is only a one-time treatment, but you would need around $2,500 for the procedure. This is popularly used by dermatologists for breaking up pigment to fade and eventually eliminate dark spots on the skin. It uses a low-level laser device which doesn’t cause trauma to prevent worsening the problem unlike other procedures for dark spots. One treatment is about $250 and you would need at least 4 sessions to get rid of spots. On a positive note, it is a simple procedure that can be done during your lunch break so you won’t have to worry about any downtime. This is another high-tech skin firming treatment that works to stimulate the production of collagen in the skin. It works by signaling collagen production through ultrasound waves that reach the deep layers of the skin. This procedure also works to tighten connective tissue so it can also reduce cellulite making the skin a lot firmer. The price is around $3,000 per treatment, but some people with severe sagging skin need at least 2 sessions. This is an FDA-approved tri-active laser that works to reduce the appearance of cellulite making the skin visibly smoother almost instantly. Take note that it is for the purpose of reducing cellulite only and is not approved to be used for making the skin in other areas of the body smoother. However, some dermatologists use it for saggy skin. It uses low-intensity diode heat for stimulating the production of new collagen thereby tightening the skin. It is pain-free, and the procedure is very straightforward. This is for cellulite that is more rippled with divot-like expressions. A device called the galaxy is used to direct radio frequency and laser light energy on the lower layer of the skin. It then causes the higher production of collagen for a fast skin tightening effect. It can also be used for fine lines and wrinkles on the face. In fact, it is one of the most popular treatments for facial wrinkles since it is more affordable compared to other skin firming procedures but it is almost as effective. This is not really new, and it has been around for some time, but it is still one of the most popular treatment options for making the skin firmer and smoother. It works to exfoliate the outer layer of the skin using a combination of lactic acid, glycolic acid, salicylic acid, TCA, and phenol. The procedure can be done in 20 minutes, but the effect will peel the outer layers of the skin so you may need to stay at home for a few days. This treatment is also an old one, but it is still popular because it is more affordable compared to the newer treatments. It also removes the top layer of the skin also referred to as a “power peel” blasting the surface with tiny crystals that exfoliate its outer layer. It can be used not just for fine lines and wrinkles but also for dark spots and acne scars. Since it causes bleeding and damage to the skin, you may need to stay at home for around a week after the procedure.